Stephen has more than 30 years’ experience in the plastics sector and has a significant understanding of the current challenges facing retail packaging designers, producers, material reprocessors and the wider plastics sector. He spent 28 years with Sealed Air Corporation, the company that gave the world Bubble Wrap and Jiffy bags, joining as a graduate and gaining experience in the field technical team where he was responsible for solving customer and retailer problems and developing new products. He spent nine years as General Manager of Sealed Air Products’ Poole rigid thermoforming plant, with responsibility for 155 people. Here, he turned the loss-making enterprise into a business with a £25m profit. When the business was sold to Faerchplast which was then owned by the private equity house EQT, he helped manage the integration, but was made Site Director at Faerchplast Sutton. With a degree in food technology, an MBA from Bradford Business School, and further financial expertise gained from the London Business School, Stephen has the experience and knowledge to lead the Vanden Peterborough plant as it grows to meet increased demand for recycled plastics. “I spent a considerable amount of time at Sealed Air Corporation trying to put in place a polypropylene recycling programme. But the time wasn’t right. “The plastics industry and retailers pushed hard for it, but society didn’t have the vision. That is no longer the case. 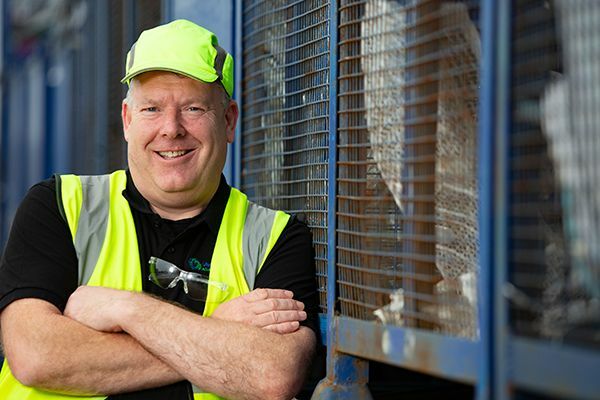 “As soon as I met the team at Vanden I was impressed and excited by their vision – both for the company and their approach to the recycling sector. As well as developing the Peterborough facility, increasing the throughput of materials and developing a reliable source of UK recovered plastic to meet growing manufacturing demand, Stephen is looking forward to building Vanden’s market presence. “There is a huge appetite for more and better plastic recycling. Vanden can be a massive part of that. Vanden UK managing director, David Wilson said: “Stephen brings his fantastic plastic industry experience to Vanden and we are delighted to welcome him to the company. Related Post What is the Future of Plastics Recycling in the UK?